She overthrew Ethel Merman as the top Mamma Rose and he avenged the death of his father while rescuing a princess. But before Patti LuPone was lauded in Gypsy and Mandy Patinkin won hearts in The Princess Bride, they both vaulted to fame and won Tony Awards for their performances in Evita in 1979. These two powerhouses, who are close friends and frequent collaborators, join forces for the Broadway concert event An Evening with Patti LuPone and Mandy Patinkin that covers music from some of their best shows and some that just sound damn good coming out of their mouths. Almost halfway through Act II of the concert, LuPone and Patinkin have charmed with numbers from Company, South Pacific, Showboat, and Merrily We Roll Along, but they have yet to speak to the audience. Finally, the two performers put their arms around each other and Patinkin begins telling a story about his agent calling him up about a buzzy new musical. Patinkin recalls receiving the part and asking, “Who’s the girl?” When the answer is Patti LuPone,” he accepts the job. Patinkin begins “Oh What a Circus,” his frightfully aggressive opening from Evita. When he gets to the rousing verse, “Sing, you fools, but you got it wrong,” Patinkin becomes 30 years younger, performing with the exact fervor that he did on the original cast recording. Although LuPone’s Evita contribution is no surprise, her performance of “Don’t Cry For Me Argentina” is as beautiful as it ever was, in her full voice, no less. What’s special is that over 30 years after she first performed it, I can’t help but wonder what nuances and facial expressions in her performance reflect the experiences of her storied career. For those that were taken by LuPone and Patinkin’s original performances (and those that were too young to experience them), this two-song set is a fleeting, invaluable look back at one of Broadway’s legendary moments. 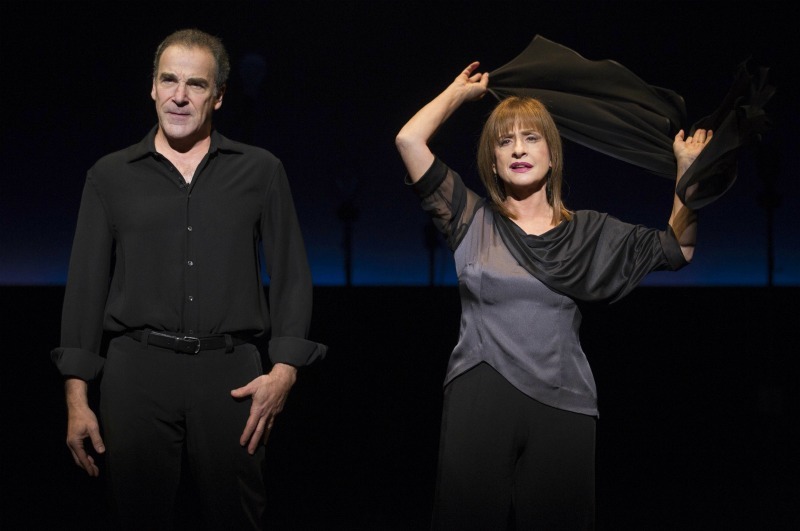 An Evening with Patti LuPone and Mandy Patinkin general rush policy: Available when the box office opens, up to two tickets per person may be purchased for $26.50 each.